Want to make your home brewery a special one? Make it with a personalized beer labels. Brewing your own beer is a long and time-consuming process. When so much energy and commitment is devoted to this process why not go one step further and make the beer bottle special too? Unique label on the bottle with homemade beer will make it look professional and remarkably. With personalized bottle stickers you will be able to present your home beer collection in front of your friends and family with pride! 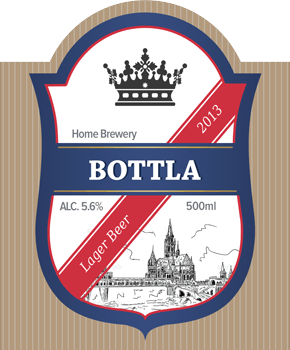 All beer labels are self-adhesive and prepared for quick use. Just peel & stick to the clean bottle. They are made especially for your order to maintain unique character and high quality. It’s time to make your own customized beer labels!